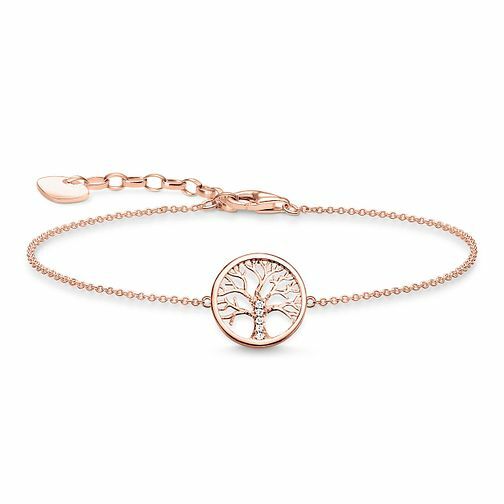 This intricate filigree Thomas Sabo 'Tree of Love' bracelet is an excellent addition to the collection of any fashion forward woman. Featuring the tree of love symbol, in a contemporary rose gold tone, and beautifully adorned with four cubic zirconia stones. Minimalistic yet chic, this bracelet is a stylish fashion accessory perfect for everyday wear.